On display at 4 Raven's Gallery April 1-27; gallery is open 10 a.m.-6 p.m. and closed Sundays. 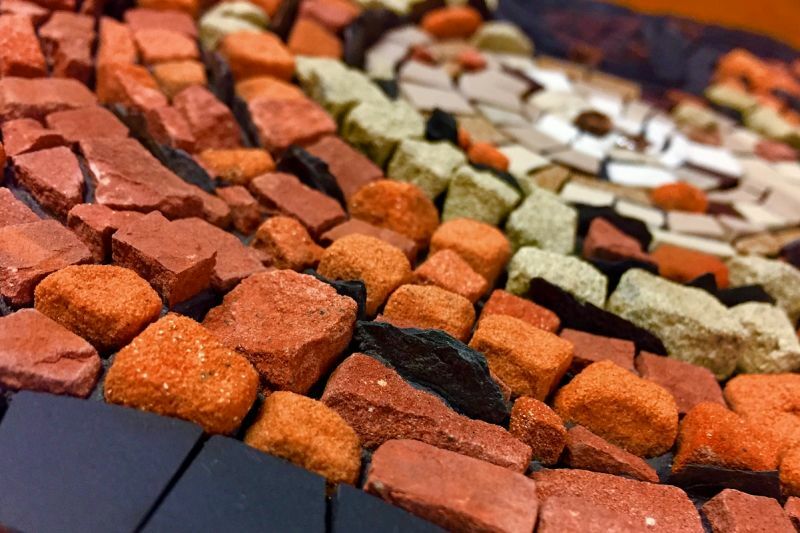 Mosaic artist Ariel Bleth is inspired by the work of traditional and contemporary Australian Aboriginal artists who capture the story of their relationship to their native landscape through song and art. Her pieces are a conversation between the size, shape, color, sides and texture of each piece, their harmonious placement, as well as the spaces in between. Her work is on display through April 27(gallery is closed Sundays).